Waste Management (Houston, TX) has completed a 12.8 MW landfill gas-to-energy plant located at its Pine Tree Acres landfill in Lenox, MI (north of Detroit). The new plant, which will have enough capacity to power 12,000 homes, joins an existing 8.8 MW plant, for a combined capacity of 21.6 MW, enough to power about 19,500 homes. Electricity produced by the plant is sold to Consumers Energy using the transmission network of International Transmission Company. Waste Management currently owns or runs 132 landfill gas projects across North America. Waste Management announced today that the company has completed construction of its new gas-to-energy plant at the Pine Tree Acres Renewable Energy Facility in Lenox. The plant helps power approximately 12,000 Michigan homes and has created positions for five newly hired staff. "Waste Management is committed to the investments and innovative technology required to bring a state-of-the-art facility like this to Macomb County communities," said Chuck Cassie, Senior District Manager for Waste Management. "By converting waste into energy for more than 12,000 residents, the new Pine Tree Acres Green Energy Plant represents the best of having tomorrow's technology here and now." As waste naturally decomposes, it produces landfill gas, which can be captured and used as a green energy source and alternative to fossil fuels. At the Pine Tree Acres Renewable Energy Facility, up to 4,800 cubic feet per minute of landfill gas is being channeled into eight 20-cylinder Caterpillar engines to produce electricity. Located on 14.5 acres of land acquired from ANR Pipeline, the electricity generated at Pine Tree Acres is delivered to Consumers Energy utilizing International Transmission Company's (ITC's) transmission system. The newly completed energy plant is designed to generate 12.8 megawatts of electricity, enough to power the equivalent of 12,000 Michigan homes. The other existing gas-to-energy plant at Pine Tree Acres generates 8.8 megawatts of electricity, which produces enough energy to power approximately 7,500 homes. Through these two gas-to-energy facilities, Waste Management will be generating 21.6 megawatts of electricity, creating enough renewable energy to power approximately 19,500 homes. "Green energy is reliable energy," said Cassie. "As technology allows Waste Management to extract more and more out of waste, landfill gas will continue serving as an ideal source of reliable energy -- for Macomb County and beyond." The U.S. EPA has endorsed landfill gas as an environmentally friendly resource that reduces reliance on coal, oil and other fossil fuels. Like wind and solar power, landfill gas is a resource that can be harnessed to produce energy and has many benefits and advantages compared to fossil fuels and other alternative energy sources. 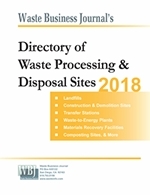 Waste Management, the leading provider of comprehensive waste management services and the largest recycling company in North America, pioneered landfill gas-to-energy technology over two decades ago and operates more facilities than any other company in the United States. 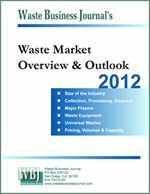 Waste Management currently owns or operates 132 landfill gas projects in North America. One of Waste Management's sustainability goals includes increasing the amount of waste-based energy produced. Currently, the company creates enough energy to power over one million homes, and it is looking to double that to two million by 2020. Waste Management, based in Houston, Texas, is the leading provider of comprehensive waste management services in North America. Through its subsidiaries, the company provides collection, transfer, recycling and resource recovery, and disposal services. It is the largest residential recycler in North America and a leading developer, operator and owner of waste-to-energy and landfill gas-to-energy facilities in the United States. The company's customers include residential, commercial, industrial, and municipal customers throughout North America. To learn more information about Waste Management visit: www.wm.com or www.thinkgreen.com.